Good news for current Toyota Camry owners and lessees! You are eligible for $2,000 Camry Loyalty Cash good towards the purchase or lease of any new 2019 Avalon (gas or hybrid). This special rebate is over and above Toyota’s current cash back, special financing, and lease offers. Make the most of every mile behind the wheel of the striking all-new 2019 Toyota Avalon. Using the Toyota New Global Architecture (TNGA) platform, each aspect of the Avalon has been carefully constructed to increase efficiency without sacrificing on refinement. Power comes in the form of a responsive 3.5-Liter V6 which produces 301 horsepower and 267 lb-ft of torque for exceptional response and outstanding fuel economy. Marking the debut of its fifth generation, the Avalon continues its tradition of blending dynamic styling with luxurious comfort. Lower, longer, and wider than ever before — the Avalon offers the perfect balance of premium feel and sport-focused agility to help it stand out from the average midsize sedan. 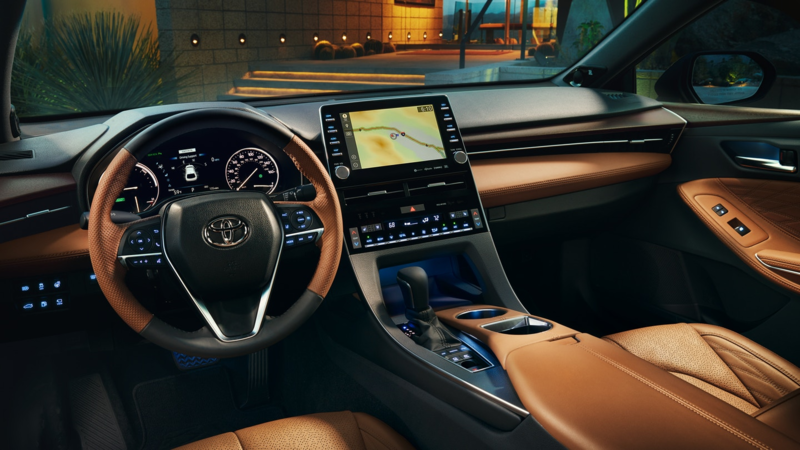 Toyota-first features offered on the Avalon include available authentic Yamaha wood and aluminum cabin accents, Dynamic Auxiliary Turn Signals, and standard Apple CarPlay smartphone integration. Once you arrive in the all-new Toyota Avalon, onlookers will immediately notice slim all-LED projector headlights up front which balance sportiness and elegance. 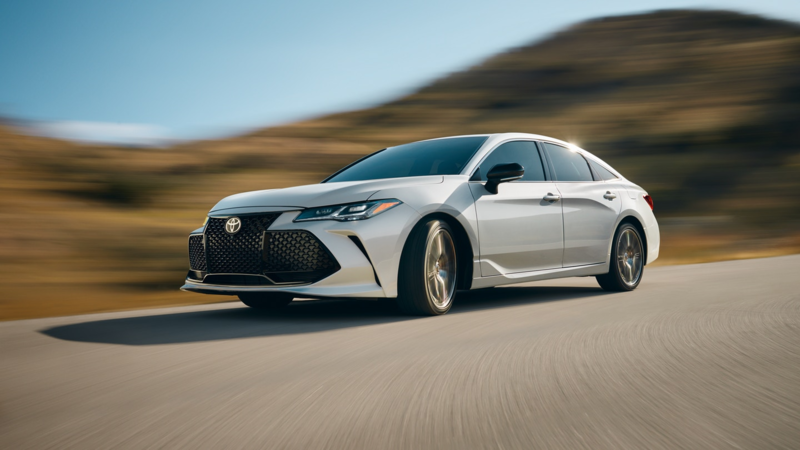 Its aluminum hood and lightweight underpinnings work in tandem to keep weight to a minimum while an aerodynamically-enhanced front fascia allows the Avalon to achieve maximum fuel efficiency. In fact, the Avalon achieves an impressive 0.27 coefficient of drag thanks to substantial underbody panel coverage, a rear spoiler, and tangential vents at the front. Machine-finish Gloss Black alloy wheels, a piano black mesh grille, and black outer mirror housings are unique to the sport-focused XSE and Touring trim levels. Building on its legendary reputation for uncompromised comfort, the all-new Avalon delivers everything you’d expect from a flagship sedan. Crafted with meticulous attention to detail, the premium cabin of the all-new Toyota Avalon offers drivers and passengers access to an array of amenities and ergonomic controls. Continuing its commitment to superlative luxury, you’ll also find authentic materials including Yamaha-sourced wood-trim, genuine aluminum pieces, accent arm rests, and a tech-focused instrument panel. All important controls are located conveniently within arm’s reach and are seamlessly integrated into a low-profile, flowing dashboard design with piano black accents. Innovative technologies such as Engine Sound Enhancement (ESE), Active Noise Control (ANC), and an Intake Sound Generator (ISG) work in tandem to create a serene, library-quiet interior for the ultimate in comfort. Standard on Limited and Touring grades and available on XLE and XSE grades, a JBL performance audio system lets you hear your favorite music with brilliant clarity. A slim center stack houses a 9-inch multimedia system (MMS) displaying audio and navigation while integrating with the climate control system. Located beyond the steering wheel, a 7-inch Multi-Information Display (MID) shows vehicle information, turn-by-turn navigation, and various vehicle settings. 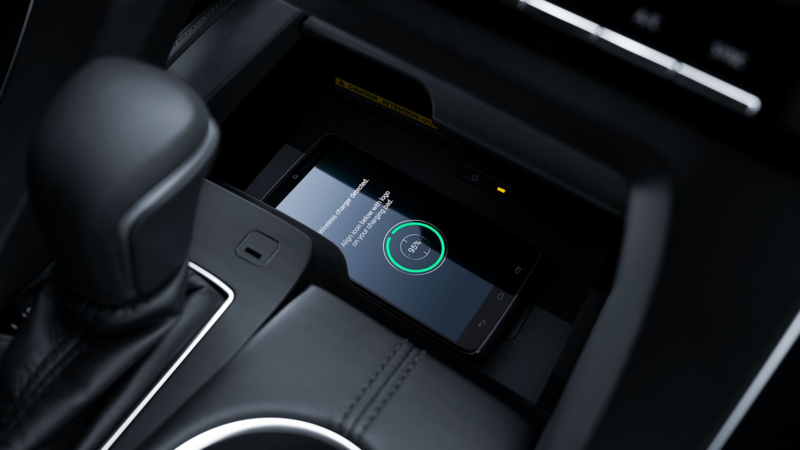 The all-new Avalon will also feature Toyota’s first integration of smartwatch or Amazon Alexa-enabled device connectivity, as part of Toyota Remote Connect. Lock/unlock your doors, start the engine, or check the fuel level, all from the convenience of your smartwatch or Amazon Alexa-enabled device. Apple CarPlay smartphone integration is standard on all trim levels. No matter what the road ahead has in store for you, you’ll be able to drive with peace of mind from the comprehensive collection of advanced safety and driver assistive features offered on the Toyota Avalon. Standard on every Avalon model is Toyota Safety Sense™ P (TSS-P). 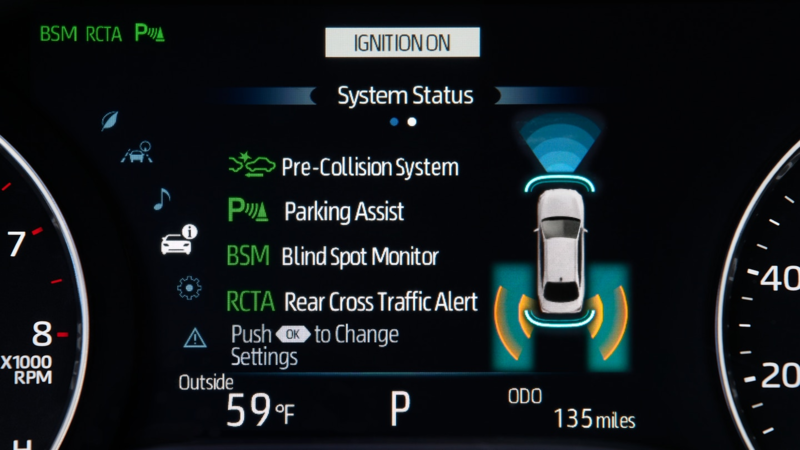 Included in this suite of safety technologies are Lane Departure Alert (LDA), Automatic High Beams (AHB), Dynamic Radar Cruise Control (DRCC), and a Pre-Collision System with Pedestrian Detection (PCS w/PD). Perfect for reversing out of a tight parking space, an available Blind Spot Monitor (BSM) with Rear Cross-Traffic Alert (RCTA) can detect vehicles approaching behind you on either side. Ten standard airbags surround all occupants of the Avalon for uncompromised protection in the event of a collision. 1. Program Period: Effective November 1, 2018 through January 2, 2019. Program Guidelines and Customer Requirements: Customers purchasing or leasing a new, unused and unlicensed, 2019 Avalon Gas or Avalon Hybrid from dealer ground stock between November 1, 2018 and January 2, 2019 are entitled to an additional $2,000 Camry Loyalty Cash if they meet the following conditions:Customer is a current Camry Gas or Camry Hybrid owner/lease. 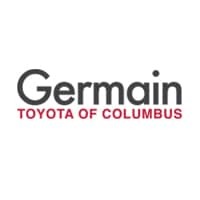 Customer must provide proof of current ownership of a Camry G/H vehicle. Acceptable proof is: Vehicle registration or valid proof of insurance showing the make, model, customer name and address. Customer purchases/leases an eligible 2019 Avalon Gas (3544, 3547, 3548, 3554) or Avalon Hybrid (3504, 3507, 3514) model. Camry Loyalty cash must be applied towards the purchase/lease of an eligible new 2019 Avalon Gas or Avalon Hybrid model. Camry Loyalty Cash is transferable within the household (same address as current owner/lease). If transferred within the household, the address on the current vehicle registration or other proof provided must be the same as that of the purchaser/lessee of the new eligible 2019 Avalon G/H model. Customer is not required to trade in their existing Camry G/H vehicle to be eligible. This offer can be combined with any existing incentive offers. Please see a participating Toyota Dealer for additional program details. 2. $3,500 cash back includes $2,000 Camry loyalty cash rebate plus $1,500 cash back directly from Toyota Motor Sales, U.S.A., Inc. Dealer participation may affect consumer cost. Must take retail delivery from new 2019 dealer stock between 11-01-2018 and 12-03-2018. Subject to availability. Offers may vary by region. Individual dealer prices and document fees may vary. See participating dealer for details. CUSTOMER CASH OFFER MAY NOT BE COMBINED WITH APR OR LEASE OFFERS. 3. Offer good on new 2019 Avalon XLE Gas Model 3544 – $299/Mo. – 36 Month Lease. $3,999 due at lease signing. Includes $3,050 Customer Down Payment + First Month’s Payment $299 + $650 Acquisition Fee. Security deposit waived to qualified buyers subject to approved credit through Toyota Financial Services. Good on Tier I PLUS only. 36-month payments total $10,764 – excludes state and local taxes, tags, registration and title, insurance, and dealer charges. A $350 Disposition Fee is due at lease termination. Lease Factor .00080. Actual rent charge factors will vary based on individual customer and may vary by dealer. Closed-End Lease. Lease-end purchase option $20,327. The manufacturer’s suggested retail price for the new 2019 Avalon XLE Gas Model 3544 is $37,643. Includes destination charge, but excludes state and local taxes, tags, registration, title and insurance. $2,000 Camry Loyalty Cash must be applied toward Capitalized Cost – which reduces $31,652 to $29,652 Adjusted Capitalized Cost based on dealer participation. Other options and dealer charges extra. Lessee may be charged for excessive wear based on Toyota Financial Services standards for normal use and for mileage in excess of 30,000 miles at the rate of $0.15 per mile (low mileage lease). Your payment may vary depending on final price. Delivery must be taken from new 2019 dealer stock between 11/1/18 – 12/3/18 and is subject to availability. Available to qualified customers through Toyota Financial Services. Lease offer may not be combined with cash back and APR offers. Offers may vary by region. Individual dealer prices may vary. See participating dealer for details. Vehicle image is for display purposes only. 4. Offer good on new 2019 Avalon XLE Hybrid Model 3504 – $299/Mo. – 36 Month Lease. $3,999 due at lease signing. Includes $3,050 Customer Down Payment + First Month’s Payment $299 + $650 Acquisition Fee. Security deposit waived to qualified buyers subject to approved credit through Toyota Financial Services. Good on Tier I PLUS only. 36-month payments total $10,764 – excludes state and local taxes, tags, registration and title, insurance, and dealer charges. A $350 Disposition Fee is due at lease termination. Lease Factor .00080. Actual rent charge factors will vary based on individual customer and may vary by dealer. Closed-End Lease. Lease-end purchase option $21,254. The manufacturer’s suggested retail price for the new 2019 Avalon XLE Hybrid Model 3504 is $38,643. Includes destination charge, but excludes state and local taxes, tags, registration, title and insurance. $2,000 Camry Loyalty Cash must be applied toward Capitalized Cost – which reduces $32,526 to $30,526 Adjusted Capitalized Cost based on dealer participation. Other options and dealer charges extra. Lessee may be charged for excessive wear based on Toyota Financial Services standards for normal use and for mileage in excess of 30,000 miles at the rate of $0.15 per mile (low mileage lease). Your payment may vary depending on final price. Delivery must be taken from new 2019 dealer stock between 11/1/18 – 12/3/18 and is subject to availability. Available to qualified customers through Toyota Financial Services. Lease offer may not be combined with cash back and APR offers. Offers may vary by region. Individual dealer prices may vary. See participating dealer for details. Vehicle image is for display purposes only.